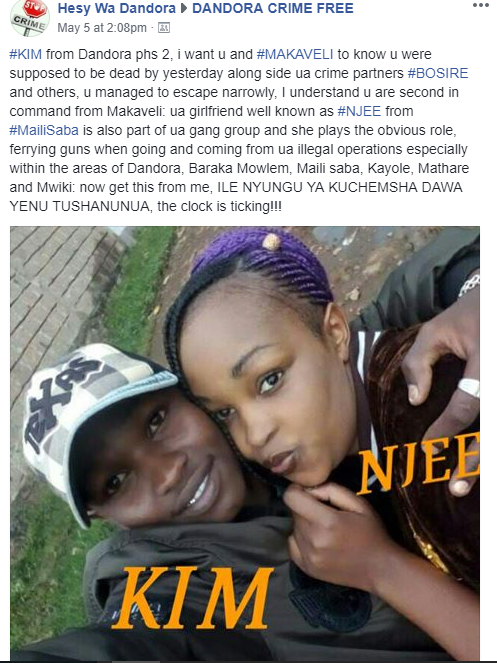 On May 5th 2018, Killer cop Hessy sent a warning to a gangster called Kim and his girlfriend Njee. He warned them he would send them six feet under if they didn’t refrain from criminal activities. 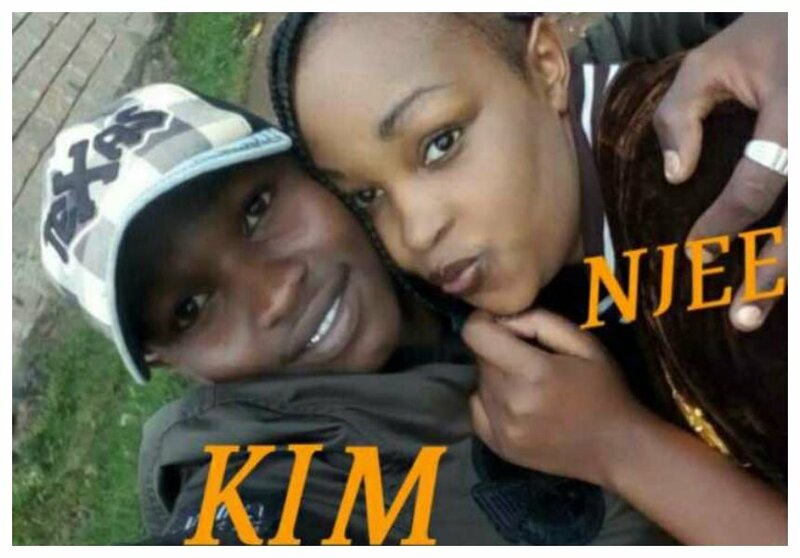 “#KIM from Dandora phs 2, i want u and #MAKAVELI to know u were supposed to be dead by yesterday along side ua crime partners #BOSIRE and others, u managed to escape narrowly, I understand u are second in command from Makaveli: ua girlfriend well known as #NJEE from #MailiSaba is also part of ua gang group and she plays the obvious role, ferrying guns when going and coming from ua illegal operations especially within the areas of Dandora, Baraka Mowlem, Maili saba, Kayole, Mathare, and Mwiki: now get this from me, ILE NYUNGU YA KUCHEMSHA DAWA YENU TUSHANUNUA, the clock is ticking!! !” Hessy warned. 14 days later after the warning, Hessy took to social media to announce Kim was no more. 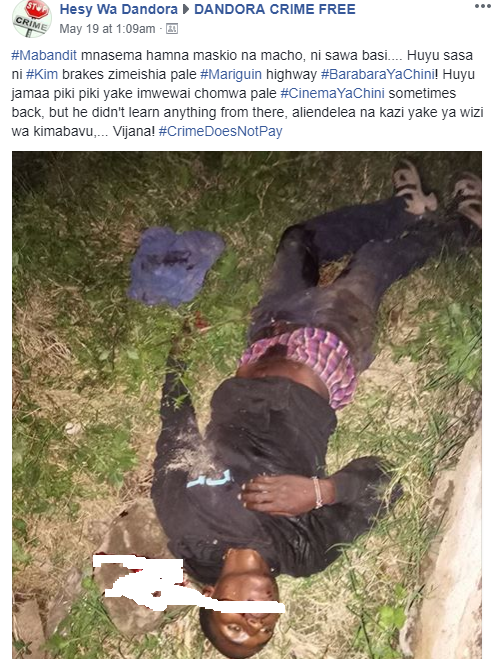 The killer cop posted a photo of Kim’s lifeless body warning that the same fate will befell gangsters who don’t want to reform.